The Rosalynn Carter Institute for Caregiving’s (RCI) signature military caregiver program, Operation Family Caregiver, announced its expansion into two new states -- Washington and Nevada-- at its caregiver summit July 29. 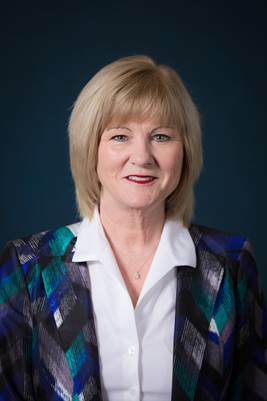 "It’s clear that Operation Family Caregiver is improving the quality of life for military and veteran families, and that is our mission as well,” said Mary Carstensen, acting Director of Programs and Partnerships for the Bob Woodruff Foundation. The Rosalynn Carter Institute for Caregiving’s (RCI) signature military caregiver program, Operation Family Caregiver, announced its expansion into two new states at its caregiver summit July 29. The Bob Woodruff Foundation becomes the latest supporter, with a commitment to fund a new site in the state of Washington. In addition, Nevada Senior Services announced that it will begin serving military caregivers in 2017. The new sites were announced at Uniting Forces to Support Military Caregivers, an OFC summit that took place at The Carter Center. First Lady Rosalynn Carter joined leaders from the White House; the U.S. Department of Veterans Affairs; Easter Seals Dixon Center; TAPS; and other organizations devoted to military and veterans’ families. The summit provided a forum for exploration and collaboration among thought leaders, policymakers, military brass, and caregivers to discuss what will take to support military families. Operation Family Caregiver (OFC) is a proven, evidence-based program that provides support to the families of newly returning service members and veterans. Specially-trained coaches teach military families the skills they need to overcome unforeseen challenges and cope more effectively with problems they never imagined. Caregivers who have completed the program report being less depressed and more satisfied with their lives, have fewer health complaints, and are generally more prepared to take care of their families. Since its launch with catalytic funding from Johnson & Johnson in 2012, OFC has helped more than 300 caregivers from across the country. After an initial pilot launch in 2012, the program has expanded in each subsequent year. It can be provided in person or via Skype. Over the past three years, RCI has pursued a deliberate plan to extend OFC into states with the highest concentration of post-9/11 veterans, active military, and guard/reserve. With the latest expansion, OFC will be serving military families in 14 locations, including the nine U.S. states with the greatest need. Nevada’s Clark County—home to Las Vegas and to both Creech and Nellis Air Force bases—has a large and growing number of service members and veterans, although OFC will serve the entire state of Nevada which is home to over 300,000 veterans. Like all OFC sites, the two new programs will be managed by local organizations after initial training by RCI. In Nevada, Nevada Senior Services—which operates three other RCI caregiver programs—will deliver the program in collaboration with the Nevada Aging and Disabilities Services Division; the Nevada Department of Veteran Services; and Blue Star Mothers of Nevada. The Bob Woodruff Foundation will fund a new OFC site in the state of Washington; RCI will issue a targeted request for proposals later this summer. Any interested organizations should contact Laura Bauer at RCI for additional information. Located in Americus, Ga., the Rosalynn Carter Institute for Caregiving is a division of Georgia Southwestern State University. 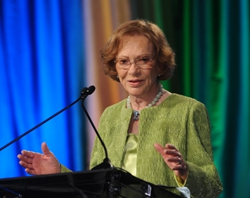 RCI was established in 1987 in honor of former First Lady Rosalynn Carter, a GSW alumna who serves as president of the Institute's Board of Advisors. RCI supports family and professional caregivers through advocacy, education, research, and service. In 2012, with support from Johnson & Johnson, RCI established Operation Family Caregiver, which coaches the families of newly returning service members and veterans to manage the difficulties they face when their loved one returns home. For additional information about the Rosalynn Carter Institute for Caregiving, visit http://www.rosalynncarter.org. For more information about Operation Family Caregiver, visit http://www.operationfamilycaregiver.org.